Standard tests for meningococcal disease, which can lead to meningitis and blood poisoning, can take up to 48 hours for results to come back. However a new diagnostic tool created by experts at Queen's University Belfast and The Belfast Trust can provide results within an hour. Researchers said the test could prevent children with meningococcal disease being wrongly sent home, potentially saving dozens of lives every year. It could also prevent children being admitted for treatment unnecessarily. Sepsis is a serious bloodstream infection. It kills more people than breast cancer, lung cancer and prostate cancer combined. It affects around 26 million people a year and is notoriously difficult and expensive to treat. Sepsis is a worldwide problem crying out for a solution that tackles both the high morbidity rate and the high cost of treatment and this is exactly what fledgling Irish medtech company, Cala Medical, has come up with. The company's novel solution focuses on fighting the sepsis from within via the body's immune system. It works in a similar manner to kidney dialysis by passing the patient's blood through a hand-sized unit (outside the body) where it is treated with an enzyme that targets a blood protein called C5a. In healthy people C5a goes quietly about its business causing no problems. In those with sepsis, the protein goes right out of control and creates a potentially fatal massive cellular response (known as a cytokine storm), that can ultimately lead to multi-organ failure and decreased survival rates for patients. Central to the development of Cala Medical's innovative treatment is the expertise of two of its co-founders, Jakki Cooney and Todd Kagawa, who between them have spent some 50 years studying blood protein structure and expression. "Jakki and Todd have worked together on and off for many years and their research into the unusual properties of the ScpA enzyme and its possible use in treating human disease led us to make an application to Enterprise Irelandfor a commercialisation fund grant in 2013," explains Cala's third co-founder and chief executive, Brian Noonan. Both Noonan and Cooney hold PhDs in microbiology while Kagawa has a PhD in biophysics and biochemistry. Prior to setting up Cala Medical, Noonan was part of the management team at pharmaceuticals giant AstraZeneca's US operations and he brings extensive expertise in commercialisation and managing R&D collaborations across the US, Europe, India, Australia and Asia to the project. "Currently there is no effective treatment for sepsis and ours is the first device to target a key immune mediator that will reduce the damage caused by the out of control inflammatory cytokines typically seen in sepsis patients," he explains. "The key to unlocking its potential was Jakki and Todd's understanding of the enzyme and how it acted on this particular protein. Our device treats a patient's blood with this potent and highly specific enzyme which renders C5a inactive and our solution works in conjunction with the traditional treatments for sepsis that usually comprise IV fluids, antibiotics and ICU care. "There are no equivalent therapies to ours on the market today. Cassettes that filter blood are available but they are not widely used due to limited success in treating sepsis. There are other companies pursuing therapies using extracorporeal cassettes, but these are based on cleaning or removing substances, such as bacterial material, from the blood. Our system is the only one adding something that specifically targets the human immune system and reduces the over-response no matter what the cause," Noonan says. "Sepsis is the leading cause of death in non-coronary intensive care units and the 10th leading cause of death in the United States overall," he adds. "The average length of a hospital stay for someone with sepsis in the US is 25 days in an ICU. Over a million people there are treated for sepsis annually at an estimated cost of $25 billion (?21.3bn) so there is a very strong business case for the adoption of our system by hospitals as well as an equally strong medical case. In the testing we've done so far, our technology has been able to deactivate C5a at the highest levels observed in sepsis patients. Our device meets a massive worldwide medical need and is undoubtedly a game-changer in the treatment of sepsis." The best estimates suggest a figure of 26 million people affected by sepsis every year, but in fact it may be even higher due to how hospitals code patients when admitted, Noonan says. "Someone might come in with a lung infection but die of sepsis and that still gets counted as a lung problem." Investment to date has been in the form of a seed round of ?850,000 which came from founder investment and Enterprise Ireland's commercialisation fund. A second round raised a further ?500,000 from angel investors and Enterprise Ireland's high potential start-up fund. In the coming months, the company will begin a third funding round to secure between ?1.5 and ?2m to see the device through to clinical trials and regulatory and compliance requirements for both Europe and the US. The company's initial target market is the EU with the US to follow and its preferred route to market will be through an existing supplier of equipment to critical-care units. "Our vision is to have this therapy available in every ICU all over the world," Noonan says. Noonan says it took the company about eight months to bring its two angel investors on board. However, to some extent it was preaching to the converted as both had previous experience of medtech start-ups. "It takes a particular type of person to invest in a business like ours as you're looking at a long-term return on investment. We won't be selling the device for maybe four years and this is something an investor has to know and accept and a challenge for us to overcome." Indeed, the company's clinical trials are not scheduled to begin for another two years. "There is a great deal of pre-clinical trial testing to be done around proving the concept and testing the device to ensure its safety and efficacy with human blood samples before you can even begin," Noonan says. This year's Leaving Certificate results showed a boost of 5% in the numbers sitting science, technology, engineering and maths at higher level when compared to 2016. Chartered engineer Damien Owens of Engineers Ireland said: "While we need to ensure we have a modern capital infrastructure in place to underpin Ireland's economic recovery and meet anticipated economic growth, we also need a skilled labour force ready to create and fill the jobs of the future." Mr Owens said there is great demand "for engineers of all kinds", saying that he encouraged those who are not offered the points they need for their preferred engineering course at third level, to consider "all routes into engineering". "There is huge demand right now for qualified engineers, from civil to support the country's critical infrastructure needs, to chemical, mechanical and those specialising in chip design, software and process automation. Ireland's economic recovery and demographic trends are placing extreme demands on the country's infrastructure and technology, including in housing and the digital economy. The acute shortage of skilled professionals is threatening the country's supply of new infrastructure and technology, thereby potentially undermining our future prosperity," he said. The State of Ireland 2017 report by Engineers Ireland on infrastructure claimed extra investment is needed to build modern capital infrastructure particularly in areas such as transport, broadband and water. "For ambitious plans such as the Government's National Planning Framework to succeed, there is a skills gap, and the country needs to produce more engineers at a faster rate than it currently has done," Mr Owens said. When the experiment ended in 2013 80% of the children were able to tolerate peanuts. The research, published in medical journal The Lancet, found that four years on, about 70% could still eat peanuts without an adverse reaction. 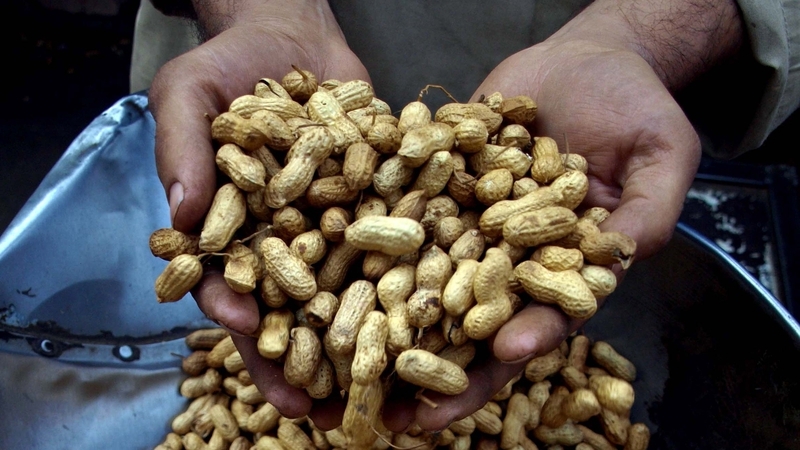 "This is a major step forward in identifying an effective treatment to address the food allergy problem in Western societies," Prof Tang said. "We visited the allergist the first time [and] he said 'sorry, you're going to have to go home and empty your pantry out, clear it of all nuts, anything with nuts in it'," Olivia's mother Tanya told the Australian Broadcasting Corporation. But after taking part in the trial, Olivia no longer suffers from her allergy. "I used to hand over an EpiPen [epinephrine injector] to a parent I'd hardly know and give them a 30-second explanation how to use it. Irish based scientists have used a new method of X-raying to learn more about potentially lethal bacteria that are resistant to certain antibiotics.The development could in time be used to help develop new drugs to tackle infections from the bugs. "These subtle differences might be exploited to design species-specific therapies with a reduced likelihood for the development of antibiotic resistance." A single injection of a fragment of a life-extending protein hormone could improve cognition in those with neurodegenerative illnesses, according to new research. The klotho protein was found to enhance cognitive and physical performance in ageing or impaired mice, said a study carried out by scientists at the University of California, San Francisco and published in the journal Cell Reports. "With our new ageing demographic, cognitive dysfunction and lack of mobility are now emerging as our biggest biomedical challenges, and there are no truly effective medical therapies for these debilitating problems," said lead author Dena Dubal. But researchers said clinical studies would be necessary to determine the safety and effectiveness of injecting klotho in humans. The body naturally produces the complex hormone that is involved in multiple cellular processes, and is linked to prolonging life in worms, mice and humans. In model organisms as well as in humans, klotho levels decrease with age, chronic stress, cerebral aging and neurodegenerative illnesses. Prior studies had found that life-long exposure to elevated levels of klotho boost mental functions, but it remained unclear whether short-term treatment using the hormone could quickly improve cognition. In this study young mice treated with the hormone for four consecutive days showed markedly improved cognitive function, benefits that lasted more than two weeks. Aging mice showed improvements in just two days following a single shot of the treatment. And several days of the treatment alleviated impairment in mice showing signs of neurodegenerative illnesses. "All of this work is going to teach us something really important about how the body transmits resilience to the brain," Dubal said. "That's where this is taking us." Bausch + Lomb, a leading global eye health company, today announced that Taoiseach Leo Varadkar TD and Tánaiste Frances Fitzgerald TD, Minister for Business, Enterprise and Innovation, officially opened a ?85 million extension at the company's Waterford, Ireland facility to help meet the consumer demand of its contact lens portfolio, specifically Biotrue® ONEday daily disposable contact lenses. Valeant Pharmaceuticals International, the parent company of Bausch + Lomb, has invested more than ?200 million in the Waterford facility's operations, infrastructure and manufacturing line growth. Today's investment, supported by the Department of Business, Enterprise and Innovation through IDA Ireland, has created 125 additional jobs, bringing the total to 300 since the Waterford facility expansion first began in 2015. IDA NEWS: BioMarin Expands Facility to Manufacture Medicine for Rare Genetic Diseases in Shanbally, Co. Cork. Simon Coveney TD, Minister for Foreign Affairs and Trade, today officially opened a new expansion at BioMarin Pharmaceutical Inc. in Shanbally, Co Cork. BioMarin has recently extended its site footprint to 20 acres as the company continues to experience a rise in the global demand for its therapies to treat rare genetic diseases that mostly affect children. 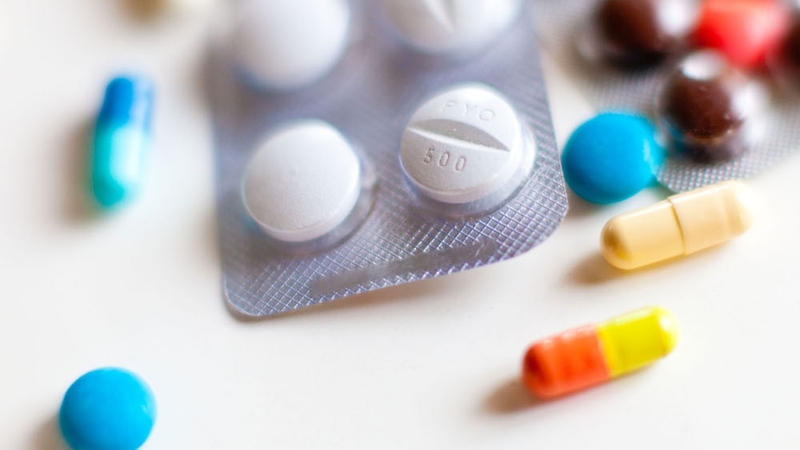 The Department of Health has told the HSE it believes the executive has money to fund new drugs this year, despite HSE claims that it cannot do so within its current budget. Nine new drugs, which have been found to be clinically effective and cost effective and which the HSE wants to provide, are still on hold for public patients, in what appear to be major divisions between the HSE and the department. 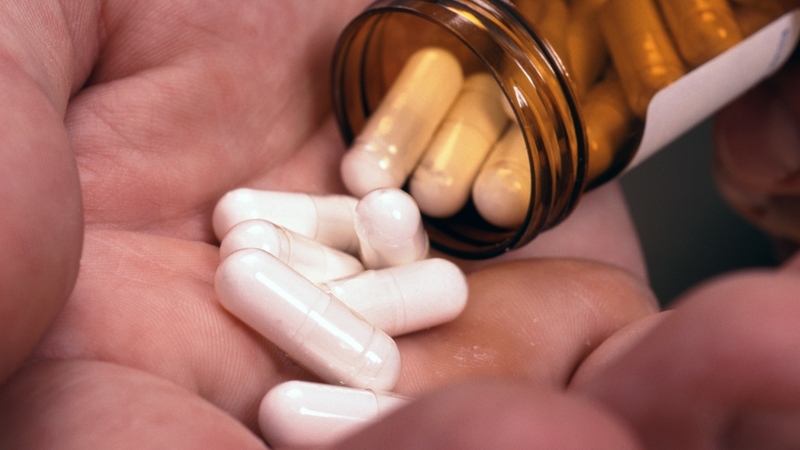 The drugs include new treatments for cancer, depression and heart conditions. The HSE wrote to the department saying the five-year cost of funding the nine drugs would be around ?120 million and it effectively was seeking Government support for extra funding to do this. In correspondence with the HSE, the department has told the executive that the final decision in relation to providing medicines remains the statutory responsibility of the HSE. It has also informed the executive that it believes the HSE has funds to provide the drugs this year due to underspending - including in the Primary Care Reimbursement Scheme. The long-term funding of the drugs into 2018 and over future years is not addressed. Minister for Health Simon Harris is "not in a position to seek supplementary Exchequer funding" for any cost which may arise this year as a result of HSE decisions to support new medicines, according to Department of Health correspondence with the HSE, seen by RTÉ News. 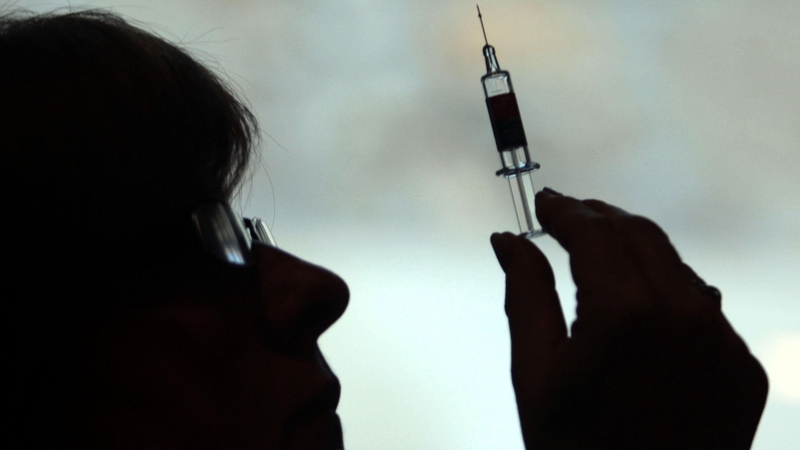 The department has said it believes the HSE has scope to fund these medicines this year. Labour Party health spokesperson Alan Kelly said life-saving drugs were caught in delays for 12 months. He said the HSE took ten months to refer the life-saving heart failure drug, Entresto, to the Department of Health and the department took two months to refer it back to the HSE. Mr Kelly said patients were suffering while the HSE and the department play "pass the parcel". Six buildings at Dublin City University have been renamed, with three now named after Irish female scientists. The move is part of the DCU Women in Leadership initiative that was announced by the university last year. It saw the college pledge to name half of its major buildings after inspiring females. 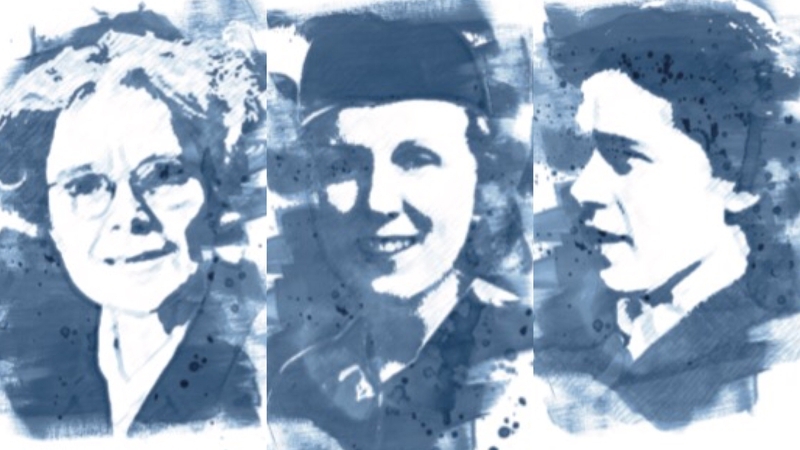 The three women scientists were leaders in the area of computing, astronomy and crystallography. Kathleen (Kay) McNulty's name is now on the computing building. Born in 1921 in Donegal, she was one of the first programmers of the first general-purpose, electronic, digital computer developed in the US in 1946 called the ENIAC. She died in 2006. The building that is home to the Schools of Chemical Sciences and Biotechnology has been named after Newbridge native Dame Kathleen Lonsdale. The late crystallographer was to the fore in establishing the science and discovered the structure of the benzene ring by X-ray diffraction methods, a pivotal milestone in organic chemistry. The postgraduate student block on the Glasnevin campus has been named after the late Mary Brück. The Meath astronomer and astrophysicist conducted widely-published research into stars, the interstellar medium and the magellanic clouds. Three other buildings have been renamed after prominent male scientists Sir George Gabriel Stokes, Guglielmo Marconi and Michael J MacCormac. Some relatives of those after whom the buildings were named were in attendance for today's ceremony. Genomics is the study of genes and the totality of their interactions and functions. The rapid expansion of information on individual genes and their role has created significant new knowledge which is being applied for many purposes. For most of these applications the genetic information is supplied to professionals in healthcare testing, forensic and legal applications etc. However, there is also a developing market for supply of genetic information and analysis directly to consumers. Existing services include fitness, paternity testing, and tracing ancestry. However, many other opportunities are likely to be offered in the future. This meeting will review some of these opportunities and hear from companies and researchers involved. It will also hear about a review of consumer reactions to some existing areas of consumer genetic testing. Project manager of Food4Me (www. food4me.org), University College, Dublin. Ireland's medical technology sector has evolved into one of the leading clusters for medical device and diagnostic products globally.With exports to the value of ?7.2bn, and 250 companies involved in developing, manufacturing and marketing a diverse range of products and services from disposable plastic and wound care products to precision metal implants including pacemakers to micro-electronic devices, orthopaedic implants, diagnostics, contact lenses and stents. Pressures on healthcare systems have resulted in a greater focus on enhanced efficacy of treatments and cost reduction. There is no sense of complacency across the sector in Ireland where industry and Government alike are constantly looking for new ways to enhance competitiveness, develop new capabilities and ultimately generate new sustainable growth. A recent report published by Forfás entitled 'Health LifeSciences in Ireland - an Enterprise Outlook' concludes that Ireland is well positioned to take advantage of global trends in the sector including convergence products and devices, functional foods, and remote diagnostics and healthcare delivery. It concludes that relevant R&D investment combined with our ICT and engineering capabilities will serve us well as we shift towards increasingly innovative and research intensive activities. There are currently 250 medical technology companies in Ireland, exporting ?7.2b worth of product annually and employing 25,000 people - the highest number of people working in the industry in any country in Europe, per head of population. Exports of medical devices and diagnostics products now represent 8% of Ireland's total merchandise exports; and growth prospects for the industry globally remain good. Many of the world's top medical technology companies have invested significantly in Ireland and a number of exciting, research-based, indigenous companies are emerging and competing internationally. The Irish government has identified the medical technology sector as one of the key drivers of industrial growth for the future and provides a wide range of supports to encourage and foster this growth. The medical technology industry in Ireland is changing from being prominently manufacturing to being more complex and driven by R&D. It now involves intensive collaboration between a broad range of partners, including research institutions, clinicians, manufacturing companies and government agencies.. There are almost 22,500 medical technology companies in EU, employing nearly 500,000 employees, with annual sales of ?95 billion*. The medical technology industry produces over 500,000 individual products, in 10,000 generic groups*. 80% of medical technology companies are SMEs*. In excess of ?7.6 billion euro is invested in R&D by medical technology companies annually*. A new European medtech patent is filed every 38 minutes* . and integrate the broad range of strategic competencies and support systems that will enable this island to compete as a mature, high value added economy, with innovation at its core. State-of-the-art commercialisation and manufacturing plant will require 200 employees when fully operational. Cork, Ireland, 27th February 2012-- Minister for Jobs, Enterprise and Innovation Richard Bruton TD today announced that Eli Lilly and Company, a global leader in biopharmaceuticals, is to invest ?330 million in a brand-new facility at its Kinsale campus in Cork. The investment will expand the Kinsale site's existing biopharmaceutical mission with the establishment of an additional world-class commercialisation and manufacturing facility. The planned 240,000-square-foot biopharmaceutical commercialisation and manufacturing facility announced today will further enhance the company's ability to bring treatments for illnesses such as cancer and diabetes to patients worldwide. This is the second large investment Lilly has made at its Kinsale site in recent years. In 2006, the company announced a ?300 million investment in its first biopharmaceutical manufacturing and new-product commercialisation facility at its Kinsale campus, which came on-stream in 2010. Speaking at the announcement, Minister Bruton said: "The Action Plan for Jobs, which the government published recently, outlined a range of measures which we will take in 2012 to target the high-end manufacturing and health/life sciences sectors for further growth and also to deepen and develop the impact of multinational companies in Ireland. Today's announcement-that this world-leading company is making a substantial investment in expanding its facility in Kinsale with the creation of up to 200 permanent jobs-shows what is possible in these areas. "The Government is determined to ensure that more announcements like this become real in the coming years", Bruton added. "By implementing the Action Plan for Jobs, we can support more businesses, rebuild the economy and create the jobs we so badly need". Ed Canary, General Manager of the Kinsale site, said: "This investment is an endorsement of the Lilly Kinsale site's success in developing a biopharmaceutical business in recent years and demonstrates our ability to rise to that challenge. This is in no small part due to the site's excellent performance record, the talent of the workforce, and the support from IDA Ireland. "In the past five years, we have hired and trained some highly talented people and now have a technical talent base and capability in biopharmaceutical commercialisation and manufacturing that makes us a very attractive company for highly skilled people", Mr. Canary added. The strategic importance of the investment for the corporation was emphasised by Paul Ahern Ph.D., Senior Vice President - Global API and Dry Product Manufacturing. "This investment is part of Lilly's planned growth strategy and proof of our confidence in Lilly's pipeline of new products, many of which are derived from biotechnology". Maria Crowe, President of Global Manufacturing Operations for Lilly, who also attended the announcement, complimented the Irish government for its long-established pro-business environment and support of the pharmaceutical sector in Ireland through its science and technology policies. "We in Lilly have seen this reflected in our deep and productive relationships with organisations such as the IDA and Irish academic institutions. The output from this commitment to education is also reflected in the excellent candidates who apply to join our company, many of whom have gone on to careers at Lilly operations across the globe". Commenting on the announcement, IDA Ireland CEO Barry O'Leary said: "I would like to congratulate Lilly's Irish management and staff on this achievement. It is a great success story for the Kinsale site and an excellent addition to the south west region. This investment demonstrates Lilly's enduring commitment to Ireland and further evidence that Ireland continues to position itself as a leading location of choice for the commercialisation and manufacturing of biopharmaceuticals". Eli Lilly S.A. - Irish Branch, based in Dunderrow, Kinsale,first established a manufacturing presence in Ireland in 1981 and manufactures the active ingredients for a number of Lilly's most important medicines, including Alimta®, Evista®, Strattera®, and Zyprexa®. To date, over ?1 billion has been invested in the Kinsale facility. In 2006, Lilly commenced the construction of a biopharmaceutical development and manufacturing facility in Kinsale. The facility, which is completing its start-up, employs 140 people and is scheduled to manufacture commercial product by late 2013. "Patent monetisation - unlocking the value of your assets"
Abbott, AER Sustainable Technology Ltd, Allergy Standards Ltd, Aptuit LLC, Argutus Medical Ltd., Arthur Cox, Athlone Institute of Technology, Babelfish Consulting, Barr Pomeroy Tax Advisors, Beasley & Associates, Biocroi Ltd, ByrneWallace, Circa Group Europe, CloudCORE - Dublin City University, Consultant, Cromsource, Cruickshank IP Attorneys, Davy, Decromo Consulting, Deloitte, Dept of Agriculture, Food and the Marine, DFMG Solicitors, Dublin City University, Enterprise Ireland, Focus Diagnostics, FRKelly, Grant Thornton, Health Research Board (FP7), HKPB scientific Ltd, IDA Ireland, Invent DCU, IPNav, IPS&E, Irish Exporters Association, Irish Medicines Board, Java Clinical, Kentz, Kora, Life Science, Life Science Recruitment, Life Science Ventures, Maclachlan & Donaldson, Murgitroyd & Company, New Morning IP, Novartis Ireland Ltd, NovaUCD, NUI Maynooth, Oncomark, Pall Biopharma, Pall Life Sciences, Royal College of Surgeons in Ireland, Saltigo GmbH, Science Foundation Ireland, Shannon ABC, Technology Transfer Office, TCD, Thrombogenics, TNT Express, Trinity College Dublin, University of Limerick, University College Dublin, Udaras na Gaeltachta, Ventac Partners, World Courier. SAN ANTONIO-(BUSINESS WIRE)- Kinetic Concepts, Inc. (NYSE:KCI) today announced the acquisition of substantially all of the assets and intellectual property of TechniMotion Medical, an Austin, Texas-based company that designs and develops innovative and ergonomic patient handling systems for acute and post-acute patient care. Among other innovations, TechniMotionT products include patient lifts that enable out-of-bed transfers, seated transfers, and basic sit-to-stand maneuvers in a more comfortable and natural position, and a reclining bedside chair that allows bed transfers to be performed over the patient's mattress. The products, which promote safe patient handling, will be marketed through KCI's Therapeutic Support Systems (TSS) division. TSS provides a portfolio of beds, mattress replacement systems, and other products for wound care, bariatric care and critical care settings. "The novel systems from TechniMotion are a natural fit to our suite of products that are focused on providing a continuum of care and improved patient outcomes," said Steve Seidel, Global President, Therapeutic Support Systems. "Unlike other patient lifts for instance, TechniMotion's lift provides greater patient comfort and can be handled by just one caregiver, potentially reducing the risk of injury and bringing real efficiencies to the hospital and home care setting." The medical lift market is approximately $220 million annually in the United States, with significant future growth opportunity. The initial launch of the products is expected this summer. This press release contains forward-looking statements regarding management's estimated market size for the medical lift market in the U.S. as well as KCI's expectations for TSS product availability in the U.S. medical lift market. Forward-looking statements may contain words such as believes, expects, anticipates, estimates, projects, intends, should, seeks, future, continue, or the negative of such terms, or other comparable terminology. Forward-looking statements are subject to risks, uncertainties, assumptions and other factors that are difficult to predict and that could cause actual results to vary materially from those expressed in or indicated by them. In particular, our ability to recognize sales and profitability from our TSS products in the U.S. market is subject to all the risks associated with the commercialization of products based on innovative technologies in new markets, including a lack of acceptance of our products or services by customers targeted by KCI, changes in business strategy, the introduction of competing products or technologies by other companies and other factors beyond our control. Additional risks and factors are identified in KCI's filings with the U.S. Securities Exchange Commission (the SEC), including its Annual Report on Form 10-K for the fiscal year ending December 31, 2009, and Quarterly Reports on Form 10-Q for the quarters ended September 30, 2010, June 30, 2010 and March 31, 2010, which are available on the SEC's Web site at http://www.sec.gov. KCI undertakes no obligation to revise or update any forward-looking statement, or to make any other forward-looking statements, whether as a result of new information, future events or otherwise. Abbott Park, Illinois (NYSE: ABT) - Abbott announced today that it has received CE Mark approval for the world's first drug eluting bioresorbable vascular scaffold (BVS) for the treatment of coronary artery disease. Abbott's BVS device restores blood flow by opening a clogged vessel and providing support to the vessel until the device dissolves within approximately two years, leaving patients with a treated vessel free of a permanent metallic implant. Abbott's BVS device will be commercialized under the brand name ABSORBT. "The CE Mark approval for ABSORB in Europe is a significant accomplishment that validates the impressive clinical results that have been observed with this device," said Patrick W. Serruys, M.D., Ph.D., professor of interventional cardiology at the Thoraxcentre, Erasmus University Hospital, Rotterdam, the Netherlands. "Abbott's ABSORB has the potential to change the way patients with coronary artery disease are treated, as it does what no other drug eluting coronary device has been able to do before ­- completely dissolve and potentially restore natural vessel function in a way not possible with permanent metallic implants." ABSORB is made of polylactide, a proven biocompatible material that is commonly used in medical implants such as resorbable sutures. Since a permanent metallic implant is not left behind, a patient's vessel treated with ABSORB may ultimately have the ability to move, flex and pulsate similar to an untreated vessel. Restoration of these naturally occurring vessel functions, or vascular restoration therapy (VRT), is one of the features that makes ABSORB a significant innovation for patients in the treatment of coronary artery disease. In addition, continuing research indicates that the need to administer long-term dual anti-platelet therapy to patients may be reduced because the temporary scaffold is completely resorbed. "Our ABSORB technology has the potential to revolutionize the treatment of coronary artery disease - with the prospect for positive therapeutic outcomes resulting from its unique ability to treat a blocked vessel, potentially restore natural vessel function and disappear within approximately two years after implant," said Robert B. Hance, senior vice president, vascular, Abbott. "Receiving CE Mark is a significant milestone on the path to providing patients with new treatment options for coronary artery disease. Abbott is committed to building the clinical and economic benefits of this therapy in anticipation of making it widely available in Europe by the end of 2012." CE Mark approval for ABSORB in Europe was supported by data from the ABSORB clinical trials, which included patient follow-up out to three years. To further study the device in an expanded population, Abbott plans to initiate a randomized, controlled clinical trial in Europe later this year. The study will enroll approximately 500 patients at 40 centers throughout Europe and will compare ABSORB to Abbott's XIENCE PRIME, which, together with XIENCE V, is the market-leading drug eluting stent system in Europe. The trial will provide additional data to support European commercialization and reimbursement activities. A global trial, including the U.S. and other geographies, is planned for later this year. In addition to clinical trial product, ABSORB will be made available in select sizes to a limited number of centers in Europe later this year and into 2012. This will enable physicians in these centers to increase their clinical experience with the technology and to continue to develop the therapy. A full-scale European commercial launch of ABSORB with a broad size matrix is planned by the end of 2012. The ABSORB trial is the world's first clinical trial evaluating a drug eluting BVS for coronary artery disease, and Abbott is the only company with long-term, four-year clinical data on a complete patient set evaluating the safety and performance of a drug eluting BVS. The ABSORB trial is a prospective, non-randomized (open label), two-phase study that enrolled 131 patients from Australia, Belgium, Denmark, France, the Netherlands, New Zealand, Poland and Switzerland. Key endpoints of the study include assessments of safety - major adverse cardiac events (MACE) and treated-site thrombosis rates - at 30 days and at six, nine, 12 and 24 months, with additional annual clinical follow-up for up to five years, as well as an assessment of the acute performance of the BVS device, including successful deployment of the system. Other key endpoints of the study include imaging assessments by angiography, intravascular ultrasound (IVUS), optical coherence tomography (OCT), and other state-of-the-art invasive and non-invasive imaging modalities at six, 12 and 18 months and at two, three and five years. Results from the first stage of the ABSORB trial with 30 patients demonstrated that Abbott's BVS successfully treated coronary artery disease and was resorbed into the walls of treated arteries within approximately two years. Patients in this first stage of the ABSORB trial experienced no blood clots (thrombosis) out to four years and no new MACE between six months and four years (3.4 percent at four years). Nine-month results from the 101 patients enrolled in the second stage of the ABSORB trial showed that the MACE rate remained consistent at 5.0 percent at nine months. There were no reports of blood clots in any of the 101 patients at nine months. The ABSORB EXTEND trial is a single-arm study that will evaluate patients at up to 100 centers in Europe, Asia Pacific, Canada and Latin America. The trial will enroll approximately 1,000 patients with more complex coronary artery disease. Abbott's bioresorbable technology delivers everolimus, an anti-proliferative drug. Everolimus is developed by Novartis Pharma AG and is licensed to Abbott by Novartis for use on its drug eluting vascular devices. Everolimus has been shown to inhibit treated-site neointimal growth in the coronary vessels following vascular device implantations, due to its anti-proliferative properties. ABSORB is made of polylactide, a proven biocompatible material that is commonly used in medical implants such as resorbable sutures. The device is designed to restore blood flow by opening a clogged vessel and providing support to the vessel. Once the vessel can remain open without the extra support, ABSORB is designed to slowly metabolize and eventually be resorbed by the body. Since a permanent implant is not left behind, a vessel treated with ABSORB may ultimately have the ability to move, flex and pulsate similar to an untreated vessel. Restoration of these naturally occurring vessel functions, or vascular restoration therapy (VRT), is one of the features that makes ABSORB a significant innovation for patients in the treatment of coronary artery disease. ABSORB is currently under development and is not available for sale in the United States. The top 10 medical device companies all boasted billions in sales in 2009. Johnson and Johnson, a giant in the pharma sector, proved its dominance in the device world, bringing in close to $30 billion last year. While other big players like Siemens, GE and Philips have made their marks in non-medical industries, they still rank among the biggest medical device makers in the space. Well known but smaller outfits like Medtronic and Boston Scientific also our made the list. The list was compiled with information from Medical Products Outsourcing Magazine, as well as the individual company's annual reports. Monday, July 26th 2010: Science Foundation Ireland (SFI) has welcomed today's announcement by An Taoiseach Brian Cowen T.D. of Infrastructure Investment Priorities 2010-2016, the Government's ?39.43billion revised capital investment programme. Welcoming the six-year plan, Director General of SFI, Professor Frank Gannon, said "The Government's announcement unambiguously reaffirms the central role that research and development is playing in our economic rejuvenation, in fostering academic-enterprise collaboration on these shores, and in enhancing Ireland's efforts of becoming an international innovation hub. Professor Gannon added: "The investment of ?2.4billion for Science, Technology and Innovation programmes will enable SFI and others to deliver on the sustained progress collectively achieved in partnership with Government, agencies, industry and the academic community over the past decade. The funding will assist in retaining and attracting world-class researchers and foreign direct investment, as well as developing Ireland's indigenous hi-tech sector. A capital injection of this magnitude represents perhaps the clearest signal to date - to the myriad of interested parties here and abroad - of Ireland's commitment to re-establishing competitiveness and growth and to attaining excellence, through targeted investment in scientific and engineering research." THE CLEVELAND Clinic is one of the great American medical institutions and a beacon of progress, according to US President Barack Obama, who visited it last year and described it as a model of top class care at an affordable price. The clinic has also one of the biggest innovation centres in the world for medical devices, a sector which is of increasing importance to Ireland and which has been a rare success story in recent years. Its head of innovation, Dr Brian Griffin, is an Irish-born cardiologist who will speak at the National Healthcare Conference on Thursday at the Burlington Hotel. He will outline 10 of the most important medical device innovations this year. His presentation on innovation is topical given that the Government's Innovation Taskforce argues strongly for investment in research and development that can be led to the development of products which will create employment in Ireland. In that regard Dr Griffin will have a good news story for delegates. The Cleveland Clinic has begun a partnership approach with the burgeoning Irish indigenous medical devices sector. A delegation from the clinic, including Dr Griffin, was given a tour by Enterprise Ireland last year of some of the country's indigenous medical device manufacturers. "Ireland has been very successful in recruiting the biggest and best of the medical devices companies and are beginning to leverage that into spin-off companies," he said. "I was amazed at the sophistication of some of the companies involved in Galway and Dublin. I was unaware of how sophisticated some of these smaller companies which had started off as large companies have become." He singled out Creganna, a medical devices manufacturer in Galway city, as a prime example of an innovative Irish company. Cleveland's chief executive, Dr Toby Cosgrove, came to Ireland last year to meet Taoiseach Brian Cowen and to brief him on their Irish plans. Cleveland is now anxious to team up with Irish companies. The clinic has been given a grant to carry out medical innovations by the state of Ohio from funds raised out of a class action suit against tobacco companies operating in the US. The clinic is using the money to grant-aid start-up companies to pursue their innovation on campus. "We are interested in having Irish companies who want to do their international development here," he said, adding that one such company has already taken up the offer. The clinic is also hoping that some American companies can carry out their non-US development work in Ireland. Cleveland has also been negotiating with an Irish company to set up a 24-hour call centre which would be accessible for US patients. don't see it going back to being a backwater. I see good times ahead for Ireland." The clinic has also linked up with the Royal College of Surgeons of Ireland (RCSI) and its Centre of Innovation in Surgical Technology (CIST), which is aiming to commercialise and patent medical devices. Cleveland and the RCSI are looking to move forward together on six different projects. They are collaborating on new areas of surgery and medical devices, and CIST will carry out clinical trials and design evaluations of their devices. Possible start-ups could emerge out of this on both sides of the Atlantic. CIST head of innovation Derek Young, who will also speak at the conference, said the aim was to have a central hub for ideas whereby technicians can link up with medical staff to bring innovative proposals to fruition. CIST has 46 different medical devices for which it is currently building prototypes or going through the latter stages of development. Two in particular, a new ureteral catheter and a bone displacement device, are in the late stages of development. "We have all the expert advice we need in this country. We don't need to look elsewhere," he said. "We have been traditionally very manufacturing orientated in the medical device sector. The switch that has emerged is that research and development can be done here. The potential is there to harness our own ideas on our own doorstep," he added. Continuous-flow ventricular assist devices: Tiny devices weighing 85g surgically attached alongside the heart that quietly and effectively take over the pumping duties of the organ. Forced exercise to improve motor function in patients with Parkinson's disease: Pedalling at 90rph on a tandem bike to dramatically improve the motor functioning of patients with Parkinson's disease. Fertility preservation through oocyte cryopreservation: A rapidly improving technology that allows the eggs of a healthy woman to be safely frozen and stored, ready to be thawed and fertilised at a later date. Outpatient diagnosis of sleep-related breathing disorders: Self-contained reliable at-home sleep-monitoring devices for the screening, diagnosing and treatment of sleep-related breathing disorders. Medtronic has received FDA approval for the Complete SE Vascular Stent System to be used for the treatment of peripheral arterial disease (PAD) in the iliac arteries, major blood vessels within the pelvis that supply blood to the lower extremities. Medtronic said that in other areas of company's PAD clinical research program, physicians are progressing with enrollment in two additional indication-specific trials, one investigating the use of the Complete SE stent for the treatment of superficial femoral artery stenoses, and the other studying the balloon-expandable Assurant Cobalt stent in treating iliac artery disease. Robert Molnar, MD of Michigan Vascular Research Center in Michigan, said: "The Complete SE Vascular Stent System provides physicians with a new treatment option that offers significant benefits for patients with narrowed iliac arteries due to peripheral vascular disease. The system enables highly accurate stent placement in the iliacs, reducing the likelihood of stent 'jumping,' which we commonly see during deployment with the use of many self-expanding stent systems." Sean Salmon, vice president and general manager of Coronary and Peripheral, part of the CardioVascular business at Medtronic, said: "FDA approval of the Complete SE Vascular Stent System for a peripheral indication marks a successful milestone in our PAD clinical research program. "Following our acquisition of Invatec, this approval augments Medtronic's offerings in a large and growing market where patients are significantly under-diagnosed and could benefit from expanded treatment options." Abbott, a global health care company into discovery, development, manufacture and marketing of pharmaceuticals and medical products, including nutritionals, devices and diagnostic, has acquired Facet Biotech to strengthen its pharmaceutical pipeline in immunology and oncology. The acquisition provides Abbott with a biologic intended to treat multiple sclerosis (MS) and compounds that complement its existing diverse oncology program. The new Abbott compounds include daclizumab, a Phase II investigational biologic intended to treat MS that is expected to move into Phase III development in the second quarter 2010. The final step in the acquisition process was a short-form merger of Amber Acquisition, a wholly-owned subsidiary of Abbott, with and into Facet Biotech. As a result of the merger, all outstanding shares of Facet common stock not tendered in the cash tender offer (other than those as to which holders properly exercise dissenters' rights) were converted into the right to receive $27 per share in cash, without interest and subject to any required withholding taxes. John Leonard, senior vice president of global pharmaceutical research and development at Abbott, said: "Facet's depth of biologics experience and sophisticated antibody engineering platforms complement Abbott's current R&D programs in oncology, immunology and other therapeutic areas." Facet Biotech was launched in December 2008 as a spin-off from PDL BioPharma. Boston Scientific to Immediately Resume Distribution Of COGNIS(R) CRT-Ds And TELIGEN(R) ICDs in the U.S.
Boston Scientific Corporation (NYSE: BSX) announced that it has received U.S. Food and Drug Administration (FDA) clearance for the two validated manufacturing changes affecting all of its cardiac resynchronization therapy defibrillators (CRT-Ds) and implantable cardioverter defibrillators (ICDs), and that it will immediately resume distribution of its COGNIS® CRT-Ds and TELIGEN® ICDs. The Company is positioned to fully meet customer demand for COGNIS and TELIGEN within 24 hours. COGNIS and TELIGEN represent virtually all of the Company's defibrillator implant volume in the United States. On March 15th and 16th the Company submitted the two manufacturing changes to the FDA for the following CRT-D and ICD product families: COGNIS, TELIGEN, CONFIENTT, LIVIANT, PRIZMT, RENEWAL® and VITALITYT. Solely on its own initiative, the Company has conducted an internal review of manufacturing and other changes for these products, as well as the associated regulatory submissions. The review found a few additional instances where the Company did not submit the appropriate documentation for validated manufacturing changes for CONFIENT, LIVIAN, PRIZM, RENEWAL and VITALITY. The Company has now submitted this documentation and is working closely with the FDA to secure clearances to return CONFIENT, LIVIAN, PRIZM, RENEWAL and VITALITY -- the earlier generations of the Company's CRT-D and ICD products -- to market as soon as possible in the United States. These products may continue to be implanted in geographies outside the United States. The Company's pacemakers and other products were not affected by the ship hold and product removal actions. Geographies outside the United States were never affected and remain unaffected by these actions. "We are pleased that the FDA has cleared the manufacturing changes, and that we are again able to offer COGNIS and TELIGEN to U.S. patients and physicians," said Ray Elliott, President and Chief Executive Officer of Boston Scientific. "We are committed to doing the right thing every time, and we acted voluntarily, swiftly and appropriately to ensure compliance with all regulatory requirements. Our entire sales force is energized and hard at work!" The Company is evaluating the impact of the ship hold and product removal actions on its financial results and will provide an update with the release of its first quarter earnings. These recent actions may have a material impact on the Company's previously issued guidance, including revenue, operating profit and cash flows for the first quarter and full year of 2010. This press release contains forward-looking statements within the meaning of Section 21E of the Securities Exchange Act of 1934. Forward-looking statements may be identified by words like "anticipate," "expect," "project," "believe," "plan," "estimate," "intend" and similar words. These forward-looking statements are based on our beliefs, assumptions and estimates using information available to us at the time and are not intended to be guarantees of future events or performance. These forward-looking statements include, among other things, statements regarding our regulatory approvals, internal systems and processes, product performance and availability, and financial results. If our underlying assumptions turn out to be incorrect, or if certain risks or uncertainties materialize, actual results could vary materially from the expectations and projections expressed or implied by our forward-looking statements. These factors, in some cases, have affected and in the future (together with other factors) could affect our ability to implement our business strategy and may cause actual results to differ materially from those contemplated by the statements expressed in this press release. As a result, readers are cautioned not to place undue reliance on any of our forward-looking statements. Factors that may cause such differences include, among other things: future economic, competitive, reimbursement and regulatory conditions; new product introductions; demographic trends; intellectual property; litigation; financial market conditions; and, future business decisions made by us and our competitors. All of these factors are difficult or impossible to predict accurately and many of them are beyond our control. For a further list and description of these and other important risks and uncertainties that may affect our future operations, see Part I, Item 1A Risk Factors in our most recent Annual Report on Form 10-K filed with the Securities and Exchange Commission, which we may update in Part II, Item 1A Risk Factors in Quarterly Reports on Form 10-Q we have filed or will file hereafter. We disclaim any intention or obligation to publicly update or revise any forward-looking statements to reflect any change in our expectations or in events, conditions, or circumstances on which those expectations may be based, or that may affect the likelihood that actual results will differ from those contained in the forward-looking statements. This cautionary statement is applicable to all forward-looking statements contained in this document. A spinout biotechnology company from the University of Limerick is set to create up to 200 new jobs over the next five years through opening a new facility in Co Tipperary. HKPB Scientific is set to locate its new plant at the Lisbunny Industrial Estate in Nenagh on the site of the former Aventis plant. HKPB produces products such as a pioneering form of bone cement, which is used in procedures including hip replacements. It has also developed a coating technology that will prevent the spread of the MRSA bug. Labour MEP Alan Kelly made the HKPB Scientific jobs announcement today. "I am delighted to have attracted a company of this quality to Nenagh. They are creating the type of jobs we need, high-value, export led jobs that will boost the entire regional economy," Kelly said. "Nenagh offers unrivalled potential for companies and it baffles me how the Government can allow facilities such as Lisbunny lie idol and fall into disrepair, when there are innovation led, high-potential businesses such as HKPB looking for a base," he added. "We are talking about a pioneering company that is founded and run by highly educated young Irish people and they should stand as a symbol of what is required to get this county back on its feet. "Companies such as HKPB offer Nenagh sustainable growth into the future and I expect to see a great deal of jobs coming to the town as a result of this announcement, both directly and indirectly." "We are going back to basics and producing something that's in high demand," explained HKPB's CFO David O'Flynn. "The company is delighted to have chosen Nenagh as the next step in our growth. We hope to link up with other business in the area and build a network of mutually beneficial partnerships," he added. HKPB has strategic links with the University of Limerick, Institute of Technology Tralee and the Royal College of Surgeons in Dublin. Athlone, Co. Westmeath, Taoiseach Brian Cowen today opened PPD's new contract research facility, which will include an analytical testing laboratory. The new facility will create up to 250 high value positions for Ph.D.-level students, analytical laboratory staff and other clinical development professionals. PPD are investing up to ?14 million in the new facility which is supported by the Irish Government with the aid of IDA Ireland. The analytical facility will conduct testing for clinical and commercial programs spanning all phases of drug development. The lab will allow the company to continue to serve its growing client base in Europe, Middle East and Africa (EMEA) and to win business in this region. It represents PPD's initial investment toward further expansion of its contract research operations in the country. PPD is a leading global contract research organisation (CRO) providing discovery and development services to pharmaceutical, biotechnology, medical device companies and academic and government agencies. Clients include almost all of the world's top 50 pharmaceutical companies and more than 250 biotechnology/small pharmaceutical and medical device companies. PPD has applied to the Irish Medicines Board (IMB) for manufacturer licenses to support both investigational medicinal products and marketed products and laboratory certifications for quality control of medicinal products. As of March 1, PPD's license applications have been assessed, and the quality system and premises inspected by the IMB. The progression of PPD's applications are under active consideration by the IMB. PPD is a leading global contract research organisation, celebrating 25 years of providing discovery and development services. Our clients and partners include pharmaceutical, biotechnology, medical device, academic and government organisations. With offices in 40 countries and more than 10,500 professionals worldwide, PPD applies innovative technologies, therapeutic expertise and commitment to quality to help clients and partners maximise returns on R&D investments that accelerate the delivery of safe, effective therapeutics. Contract Research Organisations (CRO) provide product development services to the pharmaceutical, biotechnology and medical device industries. Development services include drug testing, data analysis, reporting and consulting services to move a drug in development through the necessary regulatory requirements that must be met to seek approval for marketing a drug to the public. Creganna of Galway, Ireland, recently completed an acquisition that expands its technologies and services for minimally invasive medical delivery and access devices. On Jan. 4, Creganna acquired Avalon Medical Services Pte. Ltd., which did business at Tactx Medical Inc. of Campbell, Calif. Terms were not disclosed. Together, Creganna and Tactx had 2009 sales exceeding $100 million. Now known as Creganna-Tactx Medical, the company employs more than 800 and operates manufacturing facilities in Galway; Campbell; Marlborough, Massachusetts; Plymouth, Minnesota; and Singapore. Prior to the acquisition, Creganna employed 550 and Tactx 270. "This move represents a key step in Creganna's vision to build a leading global medical technology company," Helen Ryan, Creganna-Tactx Medical CEO, said in a statement. Creganna-Tactx exhibited this week at the Medical Design & Manufacturing West trade show in Anaheim. Abbott has received European approval for a new diagnostic tool, which studies show, can aid in determining the risk of whether a pelvic mass is benign or malignant. It is now available in Europe. This blood test is expected to help in the assessment of epithelial ovarian cancer. This immunoassay, which will run on Abbott's Architect systems, is the first automated HE4 test available in the world, claims the company. Research has shown that this novel diagnostic marker, combined with other tests such as the CA125 assay, can aid in measuring the risk of epithelial ovarian cancer in pre- and post-menopausal women who have a pelvic mass. Michael Warmuth, senior vice president of diagnostics at Abbott, said: "The ability of this test to help physicians predict whether a pelvic mass is benign or malignant is an important development for both patients and physicians. Abbott's Architect HE4 test will aid physicians in determining the most appropriate treatment for their patients." Abbott partnered with Fujirebio Diagnostics in the development of the assay. The test is now available in several European countries, as well as in some countries in Asia Pacific and Latin America. The Architect HE4 Assay was recently submitted to the FDA for 510(k) clearance. Boston Scientific has reported that the first patient has been enrolled in a clinical trial to evaluate its WallFlex Biliary RX fully covered stent, for the treatment of benign bile duct strictures. The multi-center, prospective study plans to enroll 187 patients at 11 centers worldwide over the next 18 months. The trial will evaluate the removal of the stents from patients with benign bile duct structures as well as the effectiveness of temporary stenting for long-term, benign biliary stricture resolution. The study will include patients with bile duct strictures associated with post liver transplant anastomosis, prior abdominal surgery such as cholecystectomy and chronic pancreatitis. The WallFlex Biliary RX Stent will remain in the patients four to 12 months depending on the nature of the stricture. Patients will be followed for five years after stent removal. The Stent is constructed of braided, platinum-cored Nitinol wire (Platinol Wire) and features three key components, radial force to help maintain duct patency and resist migration, flexibility to aid in conforming to tortuous anatomies and full-length radiopacity to enhance stent visibility under fluoroscopy. The Stents have received FDA clearance and CE Mark approval and are indicated for the palliative treatment of biliary strictures produced by malignant neoplasms. The company said that the safety and effectiveness of the system for use in the vascular system have not been established. Abbott has announced three-year data from the first 30 patients in the first phase of the ABSORB clinical trial, demonstrating that its fully bioabsorbable drug eluting coronary stent successfully treated coronary artery disease and was absorbed into the walls of treated arteries. Patients in this first phase of the ABSORB trial experienced no stent thrombosis out to three years and no new major adverse cardiac events (MACE1) between six months and three years (3.6% at three years). These results were presented at the 2009 American Heart Association's Scientific Sessions. Abbott is also initiating a large-scale trial called ABSORB EXTEND, which will enroll approximately 1,000 patients from up to 100 centers in Europe, Asia Pacific, Canada and Latin America. ABSORB EXTEND is a single-arm study designed to further evaluate the performance of Abbott's proprietary fully bioabsorbable stent technology. The study will enroll patients with more complex coronary artery disease and is slated to begin enrolling before the end of the year. Abbott also announced that patient enrollment is complete for the second phase of the ABSORB trial. The second phase of the ABSORB clinical trial enrolled 101 additional patients from 12 centers in Europe, Australia and New Zealand, and incorporated device enhancements designed to improve deliverability and vessel support. Abbott's bioabsorbable everolimus eluting coronary scaffold is made of polylactide, a proven biocompatible material that is commonly used in medical implants such as absorbable sutures. As with a metallic coronary stent, Abbott's bioabsorbable technology is designed to restore blood flow by propping open a clogged vessel, and to provide support until the blood vessel heals. Unlike a metallic stent, however, a bioabsorbable scaffold is designed to be slowly metabolized by the body and is completely absorbed over time. Charles Simonton, divisional vice president of medical affairs and chief medical officer at Abbott Vascular, said: "Abbott continues to make advancements with its promising bioabsorbable technology. The second phase of the ABSORB trial enrolled very quickly, which is a testament to the excitement among the clinical community around the potential shown with this technology. We look forward to starting the ABSORB EXTEND trial to further evaluate promising attributes of our fully bioabsorbable technology in a broader patient population." Abbott has announced that Xience Prime everolimus eluting coronary stent system and the Xience V everolimus eluting coronary stent system have received additional new CE Markings covering the treatment of patients with diabetes. In addition to diabetes, Xience Prime and Xience V also received CE Mark for expanded indications to treat patients that have complex disease, including dual vessels, small vessels. The expanded indications for Xience Prime and Xience V are based on randomized clinical trial data from the SPIRIT family of trials that support the safety and performance of the stents in these patient subgroups. Both Xience Prime and Xience V leverage the outcomes from the extensive body of clinical evidence from the SPIRIT family of clinical trials. Most recently, data from the company's SPIRIT IV trial comparing Xience V to the taxus express paclitaxel-eluting coronary stent system were presented at the Transcatheter Cardiovascular Therapeutics (TCT) annual meeting in September 2009. Charles Simonton, divisional vice president of medical affairs and chief medical officer of Abbott Vascular, said: "This expanded indication further confirms Xience Prime and Xience V as important options for physicians who are treating patients with diabetes. The deliverability of both devices provides physicians with confidence to easily reach the lesion site." The firm announced Feb. 23 that it will acquire CoreValve for $700 million, plus milestone payments, and earlier-stage Israeli firm Ventor Technologies for $325 million. The deals are not a big surprise. Medtronic made its plans public last year to enter the nascent transcather aortic valve space, which some analysts project could become a billion-dollar-plus worldwide market in five years. While the device giant already has some intellectual property covering percutaneous delivery of aortic heart valves, Medtronic was still years away from getting a product into pivotal trials on its own. With CoreValve, whose CEO Daniel Lemaitre is a former Medtronic senior VP, and Ventor, Medtronic will be in a better position to compete with Edwards LifeSciences, which up until now has been the largest company with a transcather aortic valve. CoreValve Ahead In Europe, Behind In U.S. The purchase of privately-held CoreValve immediately makes Medtronic the market leader in Europe for minimally invasive aortic valves. CoreValve's ReValving percutaneous valve, inserted via the femoral artery, controls about 56% of the approximately $80 million-$100 million market against its only competitor, Edwards' Sapien. But Medtronic will likely still lag well behind Edwards in the U.S., where transcatheter valves have yet to reach the market. Edwards aims to complete enrollment of its 1,040-patient FDA pivotal trial this year and to launch Sapien in the U.S. before the end of 2011 (though some analysts believe 2012 is more realistic), whereas Medtronic projects a U.S. launch of its first transcatheter aortic valves - an offering each from the CoreValve and Ventor portfolios - in 2014. The CoreValve deal includes plans for two $75 million milestone payments. The first is contingent on investigational device exemption approval for ReValving's approximately 1,100-patient pivotal U.S. trial by March 2010. The second depends on the product generating at least $150 million in revenue in Europe by December 2012. Despite its market leadership in Europe, ReValving is only marginally profitable for CoreValve because the firm relies so heavily on third-party distributors. Medtronic does not immediately plan to adjust distribution channels for the valve, though a direct sales operation will be established over the longer term, according to Medtronic spokesman Daniel Beach. "They have done an excellent job of building the necessary infrastructure to educate physicians and a lot of that is done through their distribution," he said in an interview. Physician education "is going to be as valuable to the long-term future of the transcatheter valve segment as the refinement of the technology." The deal for privately-held Ventor does not include milestone payments. But Medtronic says it plans to hit the ground running in initiating a U.S. pivotal trial for the investigational stage firm's Embracer transapical-delivered valve. "Our focus for the moment is that we have an IDE approved as rapidly as possible," Beach said. To compete with Edwards on all fronts, the goal is to launch Embracer domestically alongside ReValving in 2014, he explained. Edwards' Sapien is available in Europe using two delivery approaches. It can be inserted transfemorally, beginning with an incision in the groin, or transapically, via a small incision in the rib cage. The former is performed primarily by interventional cardiologists and the latter by cardiac surgeons. Edwards' intricately designed U.S. trial is evaluating both approaches. With ReValving limited to transfemoral delivery, Medtronic's ability to access the transapical market through Ventor is important, particularly since about 70% of patients needing valve replacements have anatomies that don't make them candidates for the femoral approach, Beach explained. With smaller valve designs, the proportion of patients who are candidates for the percutaneous femoral artery procedure will substantially increase. But, Beach said, "Even when the devices get smaller, which they will with our planned second- or third-generation transfemoral approaches, there is still going to be at least 20% of the market that is going to need the transapical approach." Farther back in Ventor's pipeline is a transfemoral valve technology that Medtronic plans to integrate with CoreValve intellectual property as well as Medtronic IP - providing a next-generation transfemoral product down the road, Beach noted. The transcatheter aortic valve technology from CoreValve and Ventor also complements Medtronic's Melody transcatheter pulmonary valve, which is available outside the United States and slated to debut domestically by 2010. While market analysts agree that Medtronic's move puts more pressure on Edwards, they generally also see it as a positive sign for the market. For Edwards, "We see Medtronic's deals as more validation than increasing competitive risk," writes Morgan Stanley's David Lewis in a Feb. 23 research note. "This is a large market. Edwards has plenty of resources in valves ... to compete, and remains 2-3 years ahead in the U.S."
Wachovia's Larry Biegelsen points out that Edwards and Medtronic already compete in the surgical valve arena, where Edwards maintains a leadership position and where Medtronic has recently lost some market share. This "suggests to us that Edwards can compete effectively versus Medtronic," he writes Feb. 23. But how the minimally invasive aortic heart valve market will play out is far from clear, particularly in the U.S., where the path to approval is perilous. Edwards' PARTNER U.S. pivotal trial required a redesign mid-stream, causing the company to delay its target launch date from 2009 to 2011. And some cardiologists say the company will be challenged to get good enough mortality data to convince FDA of success in every arm of the pivotal trial. Patients in the arm comparing transapical delivery and open surgery have a relatively large number of comorbidities, making it difficult to reach a statistically significant result, some point out. Also, a PARTNER U.S. investigator has voiced concerns that the mortality endpoint will be tough to reach in the arm comparing transfemoral valve delivery with drug therapy. Medtronic will not be immune to clinical development challenges, either. "It is going to be necessary to develop an awful lot of clinical evidence for these valves," spokesman Beach acknowledged. Further, the different product platforms each have inherent plusses and minuses. The ReValving device is ahead in the European market primarily because it is has a smaller profile compared with Sapien, and, thus, can be used in a greater number of transfemoral procedures. Edwards is developing a smaller diameter version of Sapien that it plans to have ready in Europe in 2010. Both CoreValve's and Ventor's products are built on a nitinol stent frame, whereas Sapien has a stainless steel foundation. Nitinol allows the products to be self-expanding and to be retracted and repositioned during valve delivery. But FDA's prior experience with nitinol stents has led the agency to take extra care in checking for the likelihood of stent fractures, a matter that may be contributing to delays in getting the ReValving U.S. trial up and running. The picture could become cloudier before it gets clearer as other big players enter the space. St. Jude Medical announced earlier this year its plans to initiate transcatheter aortic valve trials. While Johnson & Johnson also is developing transcatheter valves, some market watchers speculate that J&J could eventually seek to buy Edwards. The Medtronic deals, says J.P. Morgan analyst Michael Weinstein in a Feb. 23 note, increase Edwards' "scarcity value, as its Sapien platform now represents the only remaining late-stage asset available for other players eyeing an entry." That said, Weinstein doesn't expect an acquisition of Edwards to be considered until mid-2010 at the earliest, when there could be more clarity on the outcome of the Sapien pivotal trial. NUI Maynooth has today announced the latest spin out from the University. Based on patented technology by Prof John Lowry, head of Chemistry Dept, Blue Box Sensors Ltd will manufacture devices that can track levels of chemicals in the brain in real time over the course of weeks or even months. The sensors offer fresh insights into the workings of the brain and stand to improve preclinical research and drug discovery for a range of diseases including Alzheimer's, Parkinson's and schizophrenia. Speaking at the announcement, Prof Lowry explained how he started developing the sensors; "my initial aim was to develop electrodes to investigate and study the brain. Over the last few years, the focus has been on designing the chemistry of the surface of the electrode, to give selectivity for the molecule to be measured and validating the approach". According to John Scanlan, Director of Commercialisation at NUI Maynooth, the commercial potential of the sensor technology is already apparent, with interest being expressed from a number of leading pharmaceutical companies. "The management team we have pulled into Blue Box Sensors have been involved in selling the technologies that this sensor technology will replace," he commented. "They are close to the market, close to the customers and know the demand potential". He believes the company will grow organically, working towards building up a reputation within the industry and regulators, with the aim of replacing the standard practice of microdialysis which is limited by not being real-time and by not being as sensitive. Their eyes are also on a powerful stamp of approval, according to Scanlan. "The ultimate goal would be to have it FDA approved so that the FDA request data from Blue Box sensors, in the knowledge that the sensors provide the best data," he says. The sensor devices will be manufactured in Galway. Prof Lowrys original research was funded by Science Foundation Ireland and the commercialisation activity funded by Enterprise Ireland. Eight of the world's 10 largest medical device companies are located in Ireland, with Europe's premier cluster of device companies based in the Galway region. Examples of global companies with substantial operations include Abbott, Bayer, Becton Dickinson, Boston Scientific, Johnson & Johnson, Guidant, Medtronic and Stryker. The sector employs over 26,000 people in 130 companies and generates sales in excess of 6 billionEuro annually, with annual growth approaching 16 per cent. Over half of the medical technologies companies based in Ireland have dedicated R&D facilities. This continued investment has stimulated the emergence of an indigenous cluster of over 100 innovation-led companies along the entire Medtech value chain - from R&D intensive technologies, to proprietary products, contract design and manufacturing, packaging and sterilisation. This has positioned Ireland as a world-class centre of excellence for medical devices. The Irish Government has committed to an 8.2 billionEuro investment in science and technology research up until 2013, funding centres of excellence like the 15 millionEuro Regenerative Medicine Institute (REMEDI), a world-class biomedical research centre focusing on gene therapy and stem cell research, and the 23 millionEuro Biomedical Diagnostics Institute (BDI), a multidisciplinary research institute focused on the development of next generation biomedical diagnostic devices. Royal College of Surgeons in Ireland (RCSI) Colles Institute currently consists of three centres: the National Surgical Training Centre (NSTC) which provides education and training programmes in Ireland; the Centre for Innovation in Surgical Technology (CIST) which develops and commercialises surgical technology ideas from industry, clinicians, or researchers; and the Centre for Clinical Research and Development (CCR&D) which provides clinical research services to industry, clinicians and researchers. Cardiovascular: 80 per cent of global stent production is carried out in Ireland, with significant investment by Abbott, Boston Scientific, Guidant and Medtronic. The Galway Medical Devices Centre of Excellence (GMedTech) is actively focused on cardiovascular research in four key research topics: abdominal aortic aneurysms; cranial aneurysms; coronary artery disease and the venous system. Other areas of research include the human musculoskeletal system, dentistry, urology and reconstructive surgery. Orthopaedics: Ireland hosts manufacturing facilities by industry leaders Stryker, J&J, DePuy and, most recently, a 50 millionEuro investment by Zimmer. Diagnostics: Six of the top 7 global diagnostics companies are located in Ireland, including Abbott Diagnostic and Beckman Coulter. The Minister for Science, Technology & Innovation Mr. Conor Lenihan TD today (September 30th 2009) announced funding of almost 1mEuro to attract world-class researchers to Ireland through Science Foundation Ireland's Walton Visitor Programme. The Minister made the announcement at the launch of SFI's Annual Report for 2008. Minister Conor Lenihan said "I am delighted that through the Science Foundation Ireland Walton Programme, Ireland is able to further enhance our reputation as a location for high-quality scientific research. With this funding of nearly 1mEuro, 16 top-class researchers have chosen to come to Ireland to carry out research with some of the world-class people we have here. Their collective efforts will benefit Irish industry and strengthen our connections with the international research community across the globe." In launching the 2008 SFI Annual Report, Minister Lenihan said "By directly supporting 2,812 researchers and collaborating with over 300 companies SFI is playing a key role in the Irish economy and in the Government's strategy to build a Smart Economy." "The Government, through SFI, is helping to further embed existing firms in the Irish economy as well as being a major magnet of attraction for the IDA in their efforts to secure additional foreign investments and growing employment opportunities in Ireland." "The importance of SFI to our economy was further recognised by Government during 2008 when the SFI remit was also formally extended to include sustainable energy and energy-efficient technologies." the Minister added. Chairperson of SFI, Professor Pat Fottrell, speaking on the SFI Annual Report's publication, remarked: "2008 was, in many respects, a defining year in SFI's journey to date. The year was one in which the importance of science, R&D, and investment in innovation was brought sharply into focus not just in Ireland, but globally too. The proposition that economic recovery is best initiated by having a sound and flourishing research base was one that gained currency over this period, and has been reflected, for example most notably, in subsequent investment by President Obama's administration. Also the positive endorsement of SFI's activities by Indecon International Economic Consultants in its 'Value for Money' report on SFI was independent, authoritative confirmation that we are on the right track and recording meaningful and measurable progress of benefit to Ireland". Speaking on the SFI E.T.S. Walton Visitor Programme, Director General of SFI, Professor Frank Gannon said "Our host institutions around the country look forward to welcoming leading researchers from the UK, USA, Belgium, Germany, France, Singapore and Russia. Such a wealth of research talent coming to Ireland is of immense benefit to our own pool of researchers, and significantly raises our international standing." Crospon, a medical device developer based in Galway, has won a Connaught Business Achievers Award for 2008 in the 'Ones to Watch' category. Now in its 15th year, the Ulster Bank Business Achievers Awards aims to reward success at a provincial level before finalists go forward to an all-island awards ceremony. The regional winners were announced at a reception held on Wednesday 3 December at the Clayton Hotel, Galway. Crospon Limited develops leading edge, minimally invasive medical devices for monitoring, diagnosis and therapy in the areas of endocrinology and gastroenterology. Commenting, John O'Dea, CEO Crospon Ltd said, "We are absolutely delighted to have won the 2008 'Ones to Watch' Business Achievers Award for Connaught. The quality of the other companies on the shortlist underlines the merit of the Ulster Bank Business Achievers Awards. As a company, we will be looking forward to the national awards and hope to represent Connaught with distinction." The company also announced that it has completed an additional ?500,000 funding round. This follows on from the announcement earlier this year of the completion of a ?3million round of financing. Crospon secured an initial ?2.3 million seed funding secured in June 2007. This additional funding will be primarily used for the completion of development, manufacturing startup, and preparation to market the company's EndoFLIP® system that is used to enhance diagnosis and assist in the surgical treatment of gastroesophageal reflux disorder (GERD). The company also launched a new EndoFlip website http://www.endoflip.com. The EndoFlip® system is the first of a range of products the company plans to bring to market. In November, Crospon and HP's Smart Drug Delivery Patch was listed in Popular Science's magazines annual 'Best of What's New' for 2008. The Patch technology was one of just 11 detailed in the Health category. Medtronic annoucned plans for wordwide cuts in their staffing, in 2008. Up to 1,100 jobs worldwide are expected to go, which is almost 3% of it's workforce. Thankfully this comes with a good note for Jobs in Galway, as Medtronic are moving their endovascular manufacturing operation from Santa Rosa, California, USA to Galway . The endovascular division makes stent grafts to treat aortic abdominal aneurysms. It is also moving some of it's operations (diagnostic and cardiac rhythm disease management) to Holland. Medtronic specialises in medial technology for chronic diseases. They manufacture products and therapies and services to alleviate pain and enhance peoples lives. Each year over 6 million people world wide use Medtronics services in the treatment of heart disease, diabetes and vascular illnesses. Tánaiste and Minister for Enterprise, Trade and Employment Mary Coughlan TD today (30th September 2008) announced that Cook Medical, one of the world's largest privately held medical device companies, is to invest ?25 million, with the support of Government through IDA Ireland, in the expansion of its medical devices manufacturing and services facility - Cook Ireland Limited - in Limerick. The investment will add 200 high quality jobs over the next five years. It will also establish the Limerick operation as the sole global manufacturing site for Cook's new drug eluting stent, Zilver PTX, for the treatment of peripheral arterial disease. This is the first time such a stent will be manufactured in Ireland. Cook Ireland Limited established in the National Technology Park, Limerick, in 1996 where it currently employs 480 people in the production of devices for a range of medical areas including urology, gastroenterology, women's health and surgery. A number of European management roles are housed at the facility and the diverse range of manufacturing and services activities performed there include customer services, sales support, marketing, production, regulatory, distribution and R&D. The Tánaiste, welcoming the investment, said "Today's news is another fantastic development for the thriving medical technology industry in Ireland. This is the 10th significant investment by a multinational company from the medical technologies sector in Ireland since the beginning of this year." "It is superb news for the staff and management of Cook Ireland. The Irish facility has secured the manufacturing investment for a leading-edge product and will result in 200 new jobs in the company. Cook is a great company and its medical device products are at the forefront of technology. Since establishing in Limerick in 1996, the operation has seen continuous development well beyond its original mandate and this investment will add further strategic value and importance to the facility. The company has also undertaken collaborative R&D with University of Limerick and Dublin Institute of Technology, an area in which this Government is fully supportive'" the Tánaiste concluded. Bill Doherty, Vice President of Cook's European business said "The Limerick facility's successful track-record in implementing and delivering a variety of projects over the past 12 years was a significant factor in Cook's decision to undertake this strategic investment at the site. As the investment forms part of our company's future international growth plans, it is essential that we have confidence in the ability of the chosen location to deliver to the strict deadlines and exacting quality standards required. We have that confidence in the Limerick team. In addition, our experience in Limerick demonstrates Ireland's ability to provide the right people - highly skilled and adaptable which are needed for the next phase of our development." BEYOND THE headline grabbers the report of the Commission on Taxation contains several recommendations that will impact positively on Ireland's ability to develop a balanced and sustainable approach to innovative, high-value economic activity. First item of interest is a proposal to put in place a new system of tax incentives to increase the attractiveness of Ireland as a location for individuals with specific skills that Ireland cannot immediately provide. A 25 per cent tax credit on salary for three years is proposed. It might be seen as unfortunate that Ireland cannot provide all the high skills that industry requires, but it is only realistic to recognise there are specific skills deficits in the short term in areas of strategic importance, and that some importation of talent is required. A second set of important recommendations are aimed at supporting new businesses. The third point is the proposal that the 25 per cent tax credit on research and development should continue, but that companies should have the option to offset credits against employer PRSI. The rationale is to make Ireland a more attractive location for multinational companies interested in pursuing R&D. In 2008, ?2.6 billion was spent on research, development and innovation activities in Ireland. This represents 1.7 per cent of GNP or 1.4 per cent of GDP, which compares poorly with a 2.25 per cent GDP average for OECD countries. Of that sum, ?1.6 billion is invested by firms carrying out R&D in Ireland. Just under ?1 billion is derived from Government, EU and other non-profit sources. The ?1 billion is invested by agencies such as Science Foundation Ireland and Enterprise Ireland, and lags the OECD average in this sphere by about 0.1 per cent of GNP (about ?150 million). The main value of this funding is in developing genuinely new ideas, in training innovative thinkers and researchers, and ensuring Ireland has the internal capacity to understand and benefit from scientific and technological progress worldwide. It is a central factor in attracting high value foreign direct investment. Such investment includes companies such as IBM, De Puy and AON, so there is hard evidence that the strategy is bearing fruit. Despite these successes, investment in R&D in the business sector (?1.6 billion in 2008) provides cause for reflection. It represents only 58 per cent of the OECD average expenditure. Over 70 per cent of the business spend on R&D is by foreign-owned companies. Ireland's prosperity depends on further development of high value activities including high quality manufacturing, international services and associated R&D. Our aim should be to foster a self-sustaining innovation ecosystem for small and large firms, while partnering with government agencies and universities. The Medtech approach in Switzerland is an interesting model that Ireland might learn from. Medtech is an umbrella body with members in private and public institutions, from industry, research and regulatory bodies. Medtech focuses on consolidating a network approach to improving healthcare and biomedical products and international awareness of them. Most of these elements are present here in sectors including ICT, biopharma and biomedical devices. But our approach is less co-ordinated than that of the Swiss. Changes in this area proposed by the commission are a positive move that will help promote a healthy innovation ecosystem - and they should be adopted. Getting BMR back on track after its US disaster was top priority for chief executive Trish Smith, and now company growth is high on her agenda. When Trish Smith joined Galway firm Biomedical Research (BMR) as chief executive almost five years ago, the company was in a perilous state. After building a solid business for its Slendertone toning devices, BMR had hit a major hurdle when its entry into the US market was wiped out by cheap and ineffective imports. By the time the imports were regulated, consumers had lost faith in the devices. The episode cost BMR dearly, and the firm almost went to the wall before getting new investment. Smith, who is a qualified cardiologist, led a turnaround of the firm - in the process generating lots of headlines about BMR getting in shape, slimming down and toning up. In the past year, however, she has found that growing a company and keeping profits up can be just as challenging as rescuing it from financial crisis. BMR had sales of about ?57 million last year, up from ?50.2million in 2006, but operating profits dipped to ?5 million from ?6.2million. It's still a healthy figure, but Smith doesn't like to see the figure ''trending in the wrong direction'' and is determined to reverse the slide. Her to-do list for this year includes expansion into new markets, new Slendertone product ranges, and ambitious plans for the other side of BMR's business, a German-based medical devices unit called Neurotech. Smith said that last year was ''a tale of two businesses'', with some distribution issues affecting Slendertone, while Neurotech performed very strongly. The Slendertone devices stimulate muscles to create the same effect as exercise, although Smith is aware that people are sceptical. ''The first question everyone asks about Slendertone is: does it work? Well, of course it works. We wouldn't be able to sell it as a medical device if it didn't. You can't make outrageous claims if you are regulated by the FDA [the Food and Drug Administration in the US]." Re-entering the US market been a big part of Smith's focus and, in 2006, BMR bought back the US distribution rights to Slendertone from an American partner. The firm decided to sell direct to consumers, mainly through so-called 'infomercials', but by the second half of 2006, it decided that was not the best approach for the business. ''People don't expect to see a premium brand with solid R&D behind it advertised on direct TV," Smith said. "Dealing direct through infomercials was limiting our prices and was too complicated. It just had too many pitfalls." BMR decided on a shift to ''a more familiar European retailing strategy'' for Slendertone, and has invested heavily in building relationships with retailers, according to Smith. ''Last year was a year of investment and there has been a lot of care and nurturing required," she said. Smith now spends about one week a month in the US and also spends a lot of time on video conferences to keep track of the other 24 markets where Slendertone devices are sold. ''Our core European markets are very strong - all our European markets had double-digit growth last year," she said, attributing the rise to increased distribution and better awareness of the products. ''We also added a couple of significant new markets in 2007. "We got Korean regulatory approval at the beginning of the year and launched about March. The brand does very well in Korea, and premium brands like ours do well in the Middle East too." Smith expects some growth in the Japanese market this year, after the launch of the new Slendertone System range was delayed last year. ''It has been a solid brand [in Japan] since 2005, but we didn't get to launch the System range in 2007. That will start in March this year." The episode highlighted for Smith the downside of dealing with distributors, rather than selling directly and retaining full control. ''We had put a lot of work into the launch in the second half of 2007 and our operating profits would have been a lot healthier if that had happened. But, with Korea and Japan, we will be in a very solid position by the end of 2008." While the developments in the US and Japan caused the dip in profits, Smith said she was not disappointed with BMR's performance last year. "I firmly believe that we have the right strategy. Things may take us a little bit longer, but it is about diligence and discipline and making sure that money is invested appropriately," she said. The funding for BMR's turnaround came from Bank of Scotland (Ireland), which injected ?13 million into the business in 2003. Some individual private investors also backed the firm in 2005 and, in 2006, it raised an ?8 million loan to fund the buyback of the US distribution rights and the growth of the American business. The company's accounts show that the ?8 million is due to be paid back next year and Smith said the firm would have ''no problem'' doing so. In the past year, she has used some of the money to build her management team, hiring a new operations manager, chief financial officer, marketing director, head of IT and US vice president. ''It has taken a long time, but we have the jigsaw pieces in place," she said. "I am delighted with the team - that was the big win of 2007." In total, BMR employs 236 people, with the group headquarters and Slendertone business based in Galway and the Neurotech business based in Germany. Almost 150 of the staff work for Neurotech, which is more labour-intensive than Slendertone. While Slendertone is a consumer business, Neurotech makes medical devices that stimulate damaged muscles and help manage pain. ''The medical devices business is absolutely flying. It has grown very dramatically, with a 21 per cent increase in revenues last year," said Smith. Most of Neurotech's growth came in Germany and ''internationalisation'' is one of Smith's main priorities for 2008. "We are having conversations with prospective partners in the US and are dealing with a couple of candidates. One of them in particular would be a very good partner - we could sell their products in Europe, and they could sell ours in the US." Neurotech is also expanding its research and development (R&D) efforts and looking at opportunities in orthotics and bracing, according to Smith. "It is a much easier business [than Slendertone] in some ways. It is more stable than consumer electronics and you can be very clear about what your investment will deliver." If Neurotech can strike the right deal in the US, it would ''signal a new era for that business'', Smith said. "I'm desperate for Neurotech to become an international business and a lot of hard work has gone into it. It could be a very strong European business in the US." On the Slendertone side, Smith wants to build the retail operation in the US, aiming for ''steadier growth''. Where the firm once used celebrity endorsements, she is much keener on getting sports scientists, personal trainers and physiotherapist to back Slendertone. She has high hopes for the System range, which comes with an iPod-style controller with rechargeable batteries. It can be plugged into a range of Slendertone devices, including shorts or a miniskirt. "It is a brilliant innovation. All women are bothered about saggy bottoms. It's difficult to train those muscles - and age doesn't help." The firm is also considering a product to tone facial muscles. ''That is a premium opportunity for Slendertone," Smith said. "Muscle atrophy does cause changes to facial appearance, and we need to collect clinical evidence to back up the design of a product for the facial muscles." BMR is also investing in its ecommerce strategy and hopes to build its sales over the internet. Smith said that Tom Kirwan, the chairman of BMR, had been very supportive throughout the turnaround and growth, as had Enterprise Ireland and Udaras na Gaeltachta. ''It is hard and challenging at times, and it can be a rollercoaster ride when you are dealing with distributors," she said. "There are still a couple of jobs to do on both sides of the business." She has scaled back her expectations for the business somewhat and said previous forecasts of sales of ?100 million by 2009 were ''probably over-optimistic''. In stead, sales will be ''over the ?60 million mark'' this year, and ''significantly over'' that if its new strategy in the US pays off. While this year marks the fifth anniversary of the Bank of Scotland (Ireland) rescue package, Smith said that BMR had no plans ''right now'' for a trade sale or flotation. ''We have enough to do," she said, adding that an option such as a flotation on the Alternative Investment Market (AIM) in London ''would muddy the waters'' for the firm's growth strategy. So, if Smith's ultimate message is that using BMR's products ''should be a pleasure, rather than a chore'', could she say the same about running the company? ''Most of the time. Unless you're sat in an airport with a delay for hours that you weren't expecting," she said, laughing. Covidien, parent of St. Louis-based Mallinckrodt Inc., cited tax and legislative reasons for wanting to move the country of incorporation. The company pointed to the "possible adoption of various legislative and regulatory proposals in the United States" including "proposals introduced in the U.S. to limit tax treaty benefits to companies that are domiciled and tax resident in countries that do not have tax treaties with the U.S., and potential federal and state legislative proposals that would deny government contracts to such companies." "If enacted, we determined that these proposals, due to their potentially wide-ranging scope, could have a material and adverse impact on the company and its shareholders," the company said. Covidien said it selected Ireland because it has conducted business there for nearly 30 years and has 6 facilities and 2,000 employees there. The company also liked that Ireland "enjoys strong relationships as a member of the European Union," and that it's an English-speaking nation. Covidien, formerly known as Tyco Healthcare, operates Covidien Imaging Solutions, also known as Mallinckrodt, which is located in St. Louis and provides medical imaging technology and pharmaceuticals. It was spun off from Tyco International Ltd. in 2007. With 2008 revenue of nearly $10 billion, Covidien has 1,500 employees in St. Louis, more than 2,500 in Missouri and more than 41,000 employees worldwide. Cappella, Inc. (Cappella) announced today (15th June, 2009) that it has completed a $17.3 million Series C investment, led by new investors, Fountain Healthcare Partners and Mitsui & Co. Venture Partners (MCVP). Enterprise Ireland also participated in this round alongside Cappella's existing investors, Polytechnos Partners and ACT Venture Capital. Proceeds will be used to finance the launch of Cappella's proprietary SideguardT Sidebranch stent for the treatment of Bifurcated Vascular Disease in Europe and to advance key R&D programs in Galway on additional applications of Cappella's technology in Complex Coronary Artery Disease (CAD). Commenting on this financing, Dr. Art Rosenthal, Cappella's recently appointed CEO, said 'This funding will allow us to expand our pipeline, to supplement on-going clinical studies and to successfully launch our first product, the SideguardTM Sidebranch stent. We believe our proprietary products will treat many types of bifurcation disease, including Left Main Bifurcation Disease. In 2008, this was a $1.0 billion worldwide market and it is growing annually'. Dr Ena Prosser of Fountain Healthcare Partners commented 'We are delighted to invest in Cappella at a very strategic point in the company's development. From our perspective, Cappella have a differentiated product offering for the treatment of coronary heart disease. Cappella's impressive management team and top-class scientific advisory board will drive rapid adoption of the SideguardT Sidebranch stent in Europe and its successful clinical development in the US'. Masashi Kiyomine, Principal at Mitsui & Co. Venture Partners, commented: 'We are very pleased to have co-led this important round of financing for Cappella, to support the global commercial success of the SideguardT Sidebranch stent. With an experienced management team led by Dr. Rosenthal, we believe Cappella is ideally positioned to become the leading provider of innovative solutions for the treatment of bifurcation vascular disease - an area of high unmet medical need'. In addition to Dr Wolfgang Oster, Dr Art Rosenthal and Dr Ena Prosser, other Board seats will be held by Masashi Kiyomine, MCVP, Dr Ascher Shmulewitz company co-founder, Cappella's Vice Chairman Charlie Glass of ACT Venture Capital and Dirk Kanngiesser, Polytechnos Venture Partners. Cappella, Inc. ('Cappella' or the 'Company') is a medical device company that is developing novel solutions for the treatment of Complex Coronary Artery Disease (CAD) and specifically bifurcation vascular disease. The Company's initial product is the SideguardTM Sidebranch stent. This technology addresses an unmet medical need in CAD. The company was founded in 2004 by Antonio Columbo, M.D., Chief of Invasive Cardiology at San Raffaele Hospital in Milan, Italy, and Ascher Shmulewitz, M.D., Ph.D., a cardiologist, medical device entrepreneur and founder of NeoVision, Xcardia and Labcoat Ltd., and established its headquarters in Galway, with the backing of Polytechnos Venture Partners and ACT Venture Capital. The SideguardTM Sidebranch stent is an anatomically shaped self-expanding coronary stent that utilizes a unique peel-away delivery system. Both the stent and this delivery system were developed by Cappella Medical Devices Ltd. The unique delivery technology overcomes a number of delivery problems associated with existing nitinol stents, including reduced profile and improved placement accuracy over traditional delivery systems. Cappella Medical Devices Ltd., Galway, Ireland is the R&D and manufacturing subsidiary of Cappella Inc. The Galway-based company, which has annual revenues of more than 50 million Euro and employs about 500 people, has bought the technology and patents of Micromuscle. While the Swedish firm had raised significant venture capital funding it sought voluntary liquidation after a venture capitalist withdrew from the company. The terms of the acquisition are not known, but Creganna will retain some Micromuscle technical staff and is working with the company's customers on development projects. Creganna makes devices used in minimally-invasive surgery, while Micromuscle has technology to control the movement of devices and the release of drugs. Alan Crean, director of business development at Creganna, described Micromuscle as ''the perfect fit'' for the company. Founded in 1979,Creganna has expanded both organically and through acquisitions. Its previous deals include the buyout of Screentech Medical, a Wicklow company, for 4 million Euro in 2006. Creganna has generated profits of more than 4 million Euro annually in recent years, but last year re-registered as an unlimited firm, meaning that it does not have to file public accounts. The company is owned by its founders and Altaris Capital Partners, a New York private equity firm which has a 29 per cent stake. Helen Ryan, chief executive of Creganna, said recently that maintaining the company's growth rate was ''the top challenge'' for 2009. ''There are some indicators that a number of companies are slowing the pace of projects due to funding constraints, and this, in turn, may slow our growth rate," she said. Tánaiste and Minister for Enterprise, Trade and Employment Mary Coughlan TD today (Thursday 9th July 2009) announced that Boston Scientific Corporation (BSC), which specialises in medical devices for use in minimally invasive procedures, is to invest ?21.7 million in a Research, Development and Innovation (RD&I) initiative at its site in Cork, with the support of the Government through IDA Ireland. The investment reflects the enhanced capability of the Cork site for the development of next generation products to treat neurovascular diseases of the brain - including coils, intracranial stent delivery systems and access devices - and the research laboratory infrastructure to facilitate their path to commercialisation. This investment is closely aligned to BSC's corporate strategy of building a robust pipeline of RD&I projects across all of its businesses designed to maintain and extend its current market leadership positions, and drive profitable, sustainable growth. In 2009, BSC expects that more than a third of its revenue will come from new product introductions. An Tánaiste, welcoming the initiative, said "Boston Scientific employs 5,000 people in Ireland. This investment by BSC, a renowned global corporation and a reference life science company in Ireland, is an enormous boost of confidence in the talent at its Cork site. It further endorses Ireland's capability to support next generation research, development and innovation at the vanguard of minimally invasive products. BSC has contributed very significantly to the Cork local economy since its establishment in 1998. This latest initiative will further enhance the site's reputation within the parent corporation." Mark Paul, President of Boston Scientific's Neurovascular business, said "The performance and success of our Cork site gave us the confidence that this is the correct setting and timing for this strategic investment. The Irish Government's foresight to create centres of excellence is a cogent strategy that is attractive to industry. The commitment to RD&I, through the involvement of both the Government and IDA Ireland, has resulted in a growing international reputation for success in the development of new leading-edge products. The investment we are announcing today will continue to strengthen our Company globally. We appreciate the support of IDA for this initiative." The Irish Government's foresight to create centres of excellence is a cogent strategy that is attractive to industry. The commitment to RD&I, through the involvement of both the Government and IDA Ireland, has resulted in a growing international reputation for success in the development of new leading-edge products. The investment we are announcing today will continue to strengthen our Company globally. We appreciate the support of IDA for this initiative. the Phase 3 trial to be used in support of a New Drug Application (NDA). Amarin. We now look forward to commencing this Phase 3 trial shortly." enter a 40-week, open-label, extension period. of this Phase 3 registration trial as the basis for the submission of an NDA to the FDA. mg/dL) who are on statin therapy. Pathology/Metabolic Medicine at Guy's and St Thomas' Hospitals NHS, UK. 10 million of those diagnosed with hypertriglyceridemia. Parexel's cancellations double as profit growth stalls By Nick Taylor, 28-Apr-2009 Related topics: Clinical Development, Phase I-II, Phase III-IV Parexel posted a doubling in cancellations in Q3 of its fiscal year, with profits remaining flat as an eight per cent boost in service revenue was offset by higher operating expenses. Contract research organisations (CRO) have been hit hard by project cancellations, with PPD and Kendle recording unprecedented levels, and Parexel has also suffered. Parexel's cancellations rose to $95.8m (?73.5m) in Q3, up from $49.5m in 2008, and new business remained flat at around $425m. These figures are indicative of the challenges facing CROs but Josef von Rickenbach, Parexel's CEO, is positive about the results. He said: "The company's positive quarterly results were a clear reflection of the determined focus by our employees to control costs and achieve both our financial and operational targets. "I am proud of our staff's ability to grow service revenue and expand operating margins in today's challenging environment. In addition, we were able to generate a very respectable level of new business wins in the quarter, despite some market headwinds." The financial market has responded favourably to the results, which included an increase in profit forecasts for 2009 that helped the company's share price gain 15 per cent.